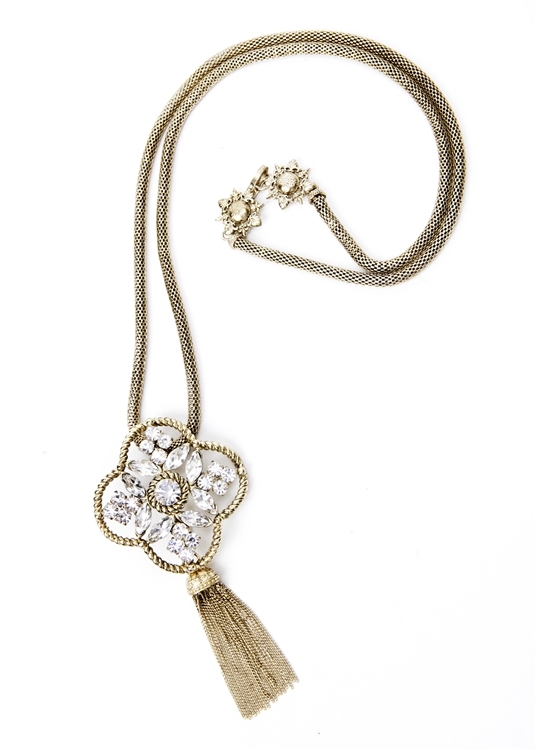 Our versatile brass and crystal mesh tassel necklace can be worn on the brass mesh chain or removed to be worn on beads. 30"-34" in length. Removable Tassel.